Clarence E. Larson (1909-1999) was an important pioneer in the field of atomic energy. After serving on the Manhattan Project during World War II, Larson became director at Oak Ridge National Laboratory, where he served from 1950 to 1955. He was an executive at Union Carbide. from 1955 to 1969 where he headed up the Nuclear Energy Division. From 1969 to 1974 Dr. Larson was Chairman of the Atomic Energy Commission. He was the recipient of many awards and honors. In the 1980s and early 1990s, after his retirement, Dr. Larson conducted video interviews with over five dozen of his fellow pioneers in atomic energy and tangential fields, which were taped by his wife Jane Larson. The Larsons made the acquaintance of István Hargittai, University Professor of Inorganic and Analytical Chemistry at the Budapest University of Technology and Economics, when he interviewed Clarence Larson for one of his own oral history projects. Professor Hargittai published several of the Larson interviews in a now defunct journal. 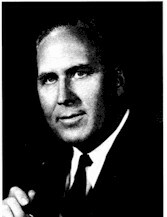 Subsequently Clarence Larson passed away, and Jane Larson donated the video tapes to Hargittai and encouraged their continued publication (copies of many of the tapes are also known to have been donated to George Mason University and a few to the University of Maryland as well). Extracts of nine of the interviews were published in a book by Hargittai and his son Balazs, also a scientist (Candid Science V: Conversations with Famous Scientists, Imperial College Press, London, 2005) that also included Hargittai’s interview of Clarence Larson. The collection had not been further utilized, although Hargittai has felt that it would be important to do so. Clarence Larson’s son Robert is a past president of IEEE, and brought to the attention of the IEEE Foundation the existence of the Clarence E. Larson Collection and the need to disseminate it. Since atomic energy is a field of interest to at least two of IEEE’s technical divisions—the Power Engineering Society and the Nuclear and Plasma Sciences Society—IEEE has an interest in seeing the contents of these tapes more broadly disseminated (moreover, some of the non-atomic energy interviews are of interest to other IEEE technical divisions, including the IEEE Computer Society). Therefore, the IEEE History Center is partnering with Professor Hargittai and the Larson family to make the videos available on-line. This page was last edited on 27 July 2017, at 14:22.